The Board of Directors of Grand Traverse Economic Development (GTED), the commercial investment entity of the Grand Traverse Band of Ottawa and Chippewa Indians, is pleased to announce the planned purchase of Bay Shore Steel Works (BSSW) into our family of companies. GTED’s family of businesses currently consist of Grand Traverse Engineering & Construction (GTEC) as well as pending formation of an IT firm, a development company, and a land holding company. All firms are primarily devoted to federal and state contracting. BSSW is based in Charlevoix, Michigan and is a full-service component manufacturer and finisher with the capability to process components from raw plate to painted weldment or assembly. Capacity includes all steel and aluminum; however, concentration is in armor plate fabrications for the United States defense industry. BSSW, along with other GTED subsidiaries, will actively engage in the SBA’s Tribal Section 8 (a) disadvantaged set-aside business development program including the Department of Defense and their 5% Indian Incentive Procurement Rebate Program, the federal HUBZone program, the state’s Disadvantaged Business Enterprise (DBE) and the Minority Business Enterprise (MBE) programs. 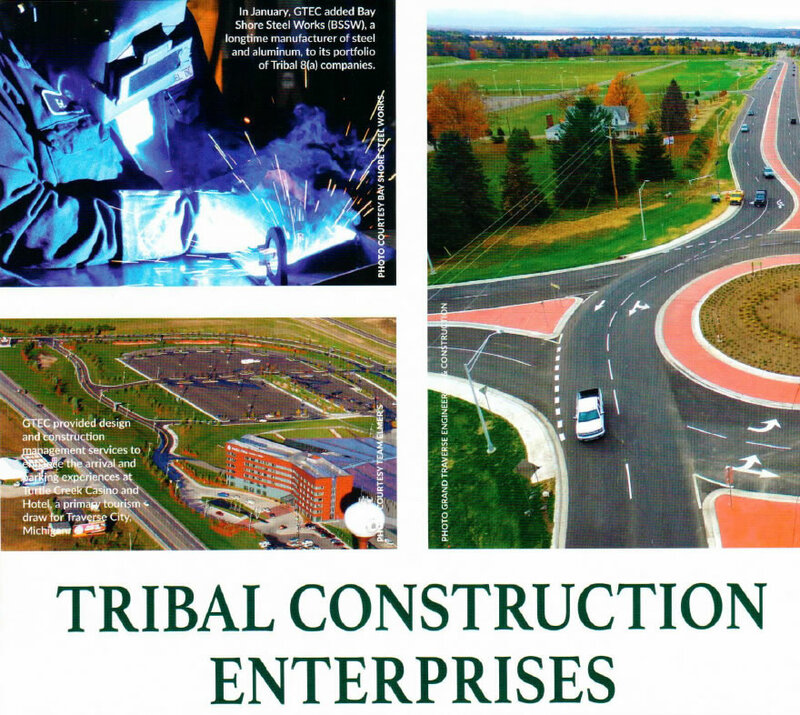 GTED is the tribe’s non-gaming economic development entity and formed to create wealth for the tribe and diversify the tribe’s revenue streams. The addition of BSSW is a major step towards achieving these goals. The Board would also like to thank the management of DCL/BSSW, Straits Capital, and their legal team from Molosky & Company, GTED’s legal and accounting representatives from McDonald Hopkins and Rehmann CPAs & Consultants, Olson Bzdok & Howard, Huntington Bank for their community support and the Grand Traverse Band of Ottawa and Chippewa Indians.